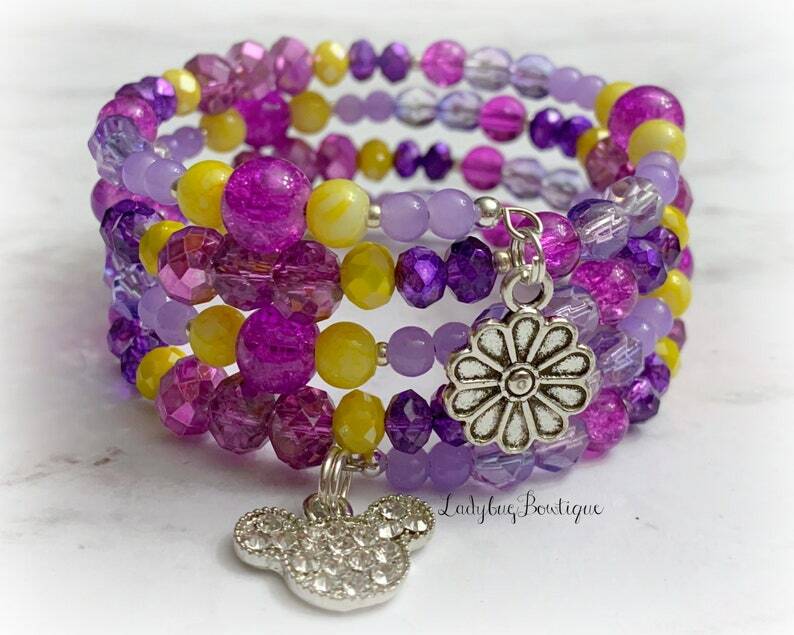 ~made with a variety of glass and metal beads and charms- includes clay floral beads. ~I source quality glass and stone beads, with metal accents and charms. I will never use acrylic, rubber or plastic, and very rarely/sparsely will use wooden beads, unless they match a design perfectly. You'll see wooden beads in bracelets like Groot, or Moana. Otherwise, you are receiving a bracelet using beautiful, sparkling glass beads.